The UAEJJF’s Abu Dhabi Grand Slam kick’s off it’s 4th year of running with an exciting tournament in the land of the rising run. Season 4 of the Grand Slam looks to be the biggest one yet! 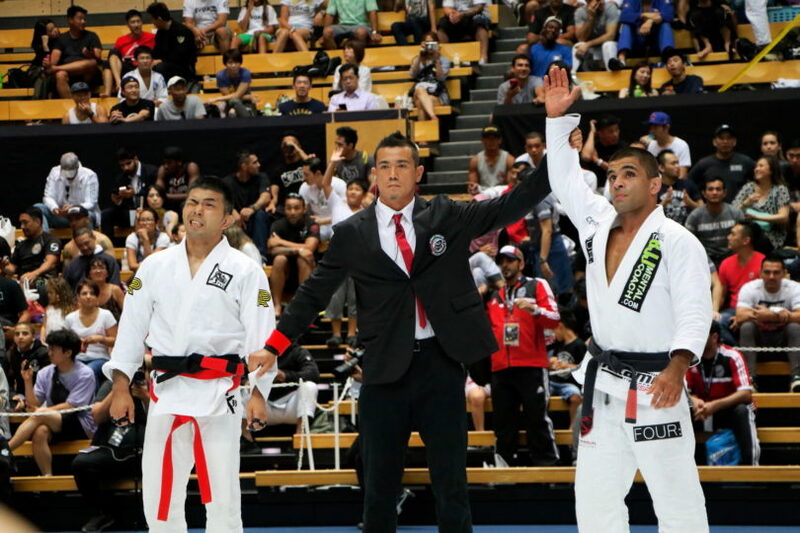 With a cash prize pool of $125,000, it’s no wonder top jiu-jitsu athletes from all belt and weight divisions from all over the world came to the OTA Gymnasium for a full day of action, across nine mats. Highlights included Vitor Shaolin defeating Daisuke Sugie in the Legends match and rising star Amal Amjahid winning gold in the 59kg female brown/black belt division. Notable highlights include podiums from UK black belt Bradley Hill, who took second in the 85kg and London Fight Zone’s Samantha Cook, who won gold in the 70kg division. The 2nd leg of the Abu Dhabi Grand Slam World Tour Season 4 heads to Los Angeles on 22nd and 23rd September 2018.